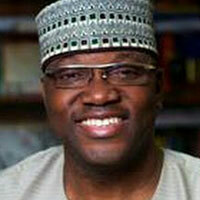 The lawsuit filed last month against Broadcasting Organisations of Nigeria (BON) and the CEO of Channels TV John Momoh has been dropped. The move was announced by Omoyele Sowore, the presidential candidate of the African Action Congress (AAC), who had initially filed the suit on December 19. The AAC brought the case after Sowore was excluded from the vice-presidential debate held on December 14. However, due to the inability of the court to serve him hearing notice, Sowore withdrew the action. Through his lawyer, Inibehe Effiong, Sowore appealed that his name should not be removed from the January 19 presidential debate. This was granted by Justice Danlami Senchi, who also removed Momoh’s name from the suit.